Questions Pertaining To Your Case? I've just been arrested, what do I do? If you’ve just been arrested for a DUI in Georgia, there are a few very important dates and deadlines you must keep in mind. First and foremost, you only have 10 days to send the Georgia Department of Driver Services an administrative suspension appeal letter. (the “Georgia 10 day letter”) If you were placed under arrest for suspected DUI, and the arresting officer asked you for a blood, breath, or urine test, then chances are that he or she will be moving to suspend your Georgia Driver’s License, unless you came back under the legal limit. The arresting officer is supposed to give you a Georgia DDS form 1205, however, often times this paperwork gets lost in the shuffle at the jail, so don’t depend on having it or not to determine whether you need to send the “10 day letter”. You need to contact an attorney and have this administrative appeal letter drafted and sent certified mail to Georgia DDS as soon as possible. Otherwise, your license will be suspended for up to 5 years (depending on whether you’ve had any prior DUI arrests in the past 5 years) on the 31st day after your Georgia DUI arrest. The second most important date to keep in mind is your arraignment date for your criminal DUI case. This date is most commonly found on your Georgia Uniform Traffic citation (UTC). At this hearing, you and your attorney will need to be prepared to enter a plea to your charges- typically “Guilty”, “Not Guilty”, or on rare occasions, “No Contest”. There is critical evidence in your case that needs to be analyzed before this hearing, so hiring a DUI attorney well ahead of this arraignment court date is always advised. In rare situations, you may have a 1st appearance, probable cause hearing, or other less common type of court appearance. However, 95% of Georgia DUI cases will have an arraignment date first, and they are of great importance. 30 Day Warning: Appeal or Interlock? If arrested for DUI in Georgia, all drivers must make important decisions within 30 days to avoid a license suspension. What is Georgia Implied Consent Law? Under Georgia’s implied consent law, all drivers are required to take a chemical test if requested by an officer who has arrested you for DUI. If you refuse to take the test required, usually a blood or breath test, the arresting officer is trained to mark you as a ‘refusal’, and submit paperwork to the Georgia Department of Driver Services in an attempt to suspend your Georgia driver’s license, or take away your privilege to operate a vehicle on Georgia’s roadways. Even if you have never before been arrested for a DUI charge, a ‘refusal’ to submit to the officer’s chemical test will have your license suspended for one year, with no work permit, or hardship license available. Quite simply, you will not be able to legally drive in Georgia for twelve months after your arrest, unless your DUI charges are dropped, or your attorney is able to successfully negotiate a deal with the arresting officer at an administrative hearing in order to salvage your driver’s license privileges. What is Required to Save My License? After being arrested and charged with refusing Georgia’s testing of your blood or breath, you only have 30 days from your date of arrest to submit an appeal letter to the Georgia Department of Driver Services (DDS) demanding that the state give you a hearing, with the arresting officer present, before they suspend your license. Georgia DDS now also requires that you send a money order for $150.00 along with your request for an administrative license hearing. If your request is timely received, and the hearing granted, you will be notified by mail of the hearing date and location. This hearing will determine whether you will retain your right to drive- having an attorney is a must for this hearing, with so much at stake. As of July 1, 2017, you also have the option of foregoing this appeal hearing and having an ignition interlock device installed on your car, that allows you to get a limited permit (IIDLP) to drive for 12 months. You will want to discuss whether or not this interlock permit makes sense, given the specific facts of your case. Even if you took the the state administered breath test, and the officer obtained a numerical sample of your breath alcohol level, your license is still in danger of being suspended. Testing over the applicable legal limit will trigger an automatic license suspension when the Georgia DDS receives the arresting officer’s sworn Form 1205. Contact me as soon as possible, either by phone or text at (404) 590 6642 or email to discuss your defense and satisfy Georgia’s 10 day requirement to save your license. Remember, there is no way to go back once the deadline has past, and failing to properly comply with DDS’ fine-print requirements will trigger a costly license suspension. I Know I am Not Guilty – Why Should I Have to Hire a Lawyer? The average law enforcement officer in Georgia has attended, at a minimum, a week of grueling training in making DUI arrests. These same officers make DUI arrests day in and day out, frequently making upwards of 100 arrests a year. Needless to say, they have plenty of experience both in and out of court, gaining convictions on Georgia DUI arrests. With the cards stacked against you, it is simply foolish to take the gamble and attempt to defend any arrest, especially a DUI arrest in Georgia. Cops, prosecutors, Judges, probation officers; all of these figures know the ins and outs of their jobs and are typically effective at what they do. Every detail of your case, from obtaining a police report, to negotiating a 1205 hearing with the arresting officer, to possibly striking a jury requires a skill, knowledge and experience that only a seasoned DUI practitioner will have acquired. When looking for an attorney, remember they will be telling the story of your innocence. They will be the ones to paint the picture for the courtroom to see, as opposed to the arresting officer, who will likely be acting like you were nothing but a drunk, and were certainly incapable of driving a car safely. Look for an attorney who takes the time to listen to your side of things, not one who simply tells you how your case is going to work. Hiring a DUI defense attorney will be one of the most important decisions you make, so be sure you are comfortable and confident in the attorney that is representing you. I Know I am Guilty – Does it Make any Sense for me to Hire a Lawyer? In short, YES, you do need an attorney. I have talked with many, many people who have unknowingly gone into a courtroom and ended up pleading their case unsuccessfully, and then making things worse. For example, a common mistake I see involves Georgia administrative license suspension hearings. Simply handling the administrative hearing the wrong way, or not having one at all, will almost surely get your Georgia driver’s license suspended for one year, without the possibility of having even a hardship permit. Even on the worst DUI cases, where you want to plead guilty in move on, having an experienced DUI attorney who knows the system will ease things and make your situation run as smoothly as possible. In initial consults I discuss the ‘best case’, ‘worst case’, and what I call ‘realistic expectations’ with potential clients. I do not believe in telling potential clients what they want to hear, just to get hired on their case, and then selling them down the river when it comes time to make decisions in court. At the very least, even if your 99% sure you are going to plea guilty to DUI, you need an experienced DUI attorney who can handle the Georgia criminal court, Georgia probation matters, and Georgia license suspension issues for you, thus making your punishment as minimal as possible. Under Georgia law, there are a host of conditions that come along even with a first DUI plea and you will want someone to navigate you through successfully fulfilling these conditions so your case can be successfully closed. Would I Be Making A Mistake by Going to Court By Myself? Judges, prosecutors, and defense attorneys alike will strongly urge that you have a defense attorney representing you on any DUI charges in the State of Georgia. With mandatory jail time, community service and stiff fines, among other requirements set by Georgia law, it is essential to have a skilled DUI attorney to represent you and navigate you safely through our justice system. Whether your case is in a municipal court, recorder’s court, magistrate, or state court, Georgia law applies to all jurisdictions and is equally harsh throughout these courts. Having a skilled attorney comb through and defend your case is essential, even if you feel like you are in a ‘no win’ situation, or have a horrible case that will surely result in a guilty verdict or plea to DUI. I have represented clients in many cases where the state’s evidence was seemingly strong, only to later have it crumble, allowing for a favorable outcome for my clients. Breath tests, blood tests, and even your alleged refusal to take a chemical test must all meet certain standards- they do not automatically come into your case as admissible evidence against you. After defending hundreds of these cases, I have developed an eye for spotting potentially fatal problems with the state’s case, and have the expertise necessary to use this to your advantage. Another key reason to have a skilled DUI attorney defend your case is to walk you safely through the Georgia Department of Driver Services’ (DDS) requirements for salvaging your Georgia driver’s license or right to drive in Georgia. Deadlines, court hearings, and negotiations are all typically necessary to save your driver’s license when facing DUI charges in Georgia. If you have allegedly refused testing, it becomes all the more important to act quickly and have a devoted attorney on your case. If you have been arrested for DUI, even if your case seems to you to be a ‘no win’ case, call me today and I will discuss your options and best path of defense. Simply walking into court and pleading guilty is simply too risky and carries many collateral consequences. I am happy to speak with you one-on-one and show you the different angles that must be looked at in defending your DUI case. What do you charge for initial consultation? I do not charge for initial consultations with potential clients. Can you tell me at our first meeting if I have any defense? In order to effectively evaluate your DUI case, I will ask that you fill out and complete a questionnaire, which can be downloaded and filled out straight from my website. After you have returned this questionnaire, I will personally call and setup a consultation to discuss your case. In person or over the phone, the choice is yours, although I typically recommend a face-to-face meeting if at all possible. Usually 30-45 minutes is what it takes to look over and thoroughly discuss your case with you, giving you a game plan and your options on proceeding. I always provide this initial consultation free of charge, and just ask that I have the questionnaire back in advance in order to make good use of our time in the consultation. Is it Possible to get a Reduced Charge and Avoid a DUI on my Driving Record? Is it possible to get a reduced charge and avoid a DUI on my record? This is a question I hear often and the answer is YES, if your case is handled the right way. There are no laws that prohibit prosecutors in your case from using their discretion and negotiating with defense attorneys to resolve your case. Typically, once all of the evidence in your DUI case has been obtained, negotiations with the prosecutor begin. Depending on the strengths and weaknesses of your case, prosecutors and defense attorneys typically go back and forth, with the state usually wanting the toughest plea bargain they can negotiate and your attorney asking for charges to be reduced or even dropped. While a full dismissal is very rare in DUI cases, where there is even some evidence of intoxication, reduced pleas are obtainable. The benefit to a possible reduced plea is two fold. (1) It is a guaranteed way to keep a DUI charge from staying on your criminal record forever, and (2) it saves you the cost, expense, and stress (for many) associated with long court hearings and even trial. A Reckless Driving charge in Georgia is defined as “driving with a reckless disregard for the safety of persons or property”. The language and scope of Georgia’s reckless driving charge is very broad and open to interpretation, making it an ideal reduced charge in a DUI case. Reckless Driving in Georgia is a four point traffic offense, with the same effect as a 24 mph speeding ticket on your driving record. The benefit of a Reckless Driving plea is obvious- insurance, employers, schools and the like will only see a relatively minor traffic citation on your Georgia criminal and driving record. While a Reckless Driving outcome is ideal in your DUI case, it is not a common occurrence or “automatic”. Remember, prosecutors’ jobs depend on conviction rates and being ‘tough on crime’. Your attorney must be ready to investigate, advocate, and negotiate relentlessly on your behalf in an effort to obtain a reduced plea in your case. While a Reckless Driving plea is usually a negotiated resolution, having DUI charges dismissed almost always involves winning a hearing or trial and having the judge dismiss the DUI. On all of our cases, we file various motions with the court, including motions to dismiss your case for lack of probable cause, officer error, and the limitations on any breath or blood tests you took. If a Judge rules in our favor on one of these motions, it can lead to a dismissal of your DUI charges, even if the prosecutor does not agree to negotiate on your case. Generally, after we obtain all evidence through discovery with the prosecutor’s office, we will be in a position to evaluate our chances of success and best arguments going forward into motions and hearings. One of the first steps I recommend to potential clients to aid in their defense is to get signed up for both a Georgia Risk Reduction program and a clinical evaluation (commonly called A/D evals). These evaluations are commonplace and have become widely required by judges and prosecutors throughout Georgia as a condition of any plea or sentence involving DUI charges. Additionally, even where I am able to obtain reduced charges- with the DUI dropped- a clinical evaluation is usually part of sentences by the court. With this being said, I usually recommend that clients get these evaluations done early in their case, as they show the arresting officer, prosecutor and judge that you are serious about the charges you are facing. This approach goes a long way when it comes to negotiating your DUI charges, or trying to keep your driver’s license in the face of a long suspension term. Under Georgia law, the person or organization conducting your evaluation must be approved by the Georgia Department of Behavioral Health & Developmental Disabilities (DBHDD). A searchable list of state-approved agencies can be found at: www.mop.uga.edu. These alcohol and drug evaluations usually last between 60 and 90 minutes and are conducted in person at the provider’s facility. The minimum cost of the evaluation is $95.00 and their is no cap on fees a provider may charge. Most evaluations in Metro-Atlanta range from $100-$150. If you have questions about obtaining an alcohol and drug evaluation for your DUI or related case, or would like more information on the potential effect of these evaluations, call or email me directly and I will be happy to speak with you. Can I Really Talk to You for Free? what do you know about the judge and prosecutor in the county or city where I have been charged? is there any hope that I can win and have all charges dismissed? what happens next and how long will the process drag on? is there any hope of a plea bargain to a lesser offense? are there any steps I can take now, after arrest, to improve my chances? how much is this going to cost me, both in legal fees and in possible fines? do I have any chance at keeping my driver’s license no matter what the outcome? how do I request an administrative hearing to avoid a driver’s license suspension? While a ten or fifteen minute conversation will not solve your DUI problem, I can assure you that the time you spend on the phone with me or in my office will give you some peace of mind. Just knowing the nature and extent of the legal problems you are facing will help you focus on finding a solution. I also find that the earlier I hear from a potential client, the more effective I can be in investigating the circumstances of your arrest and creating a defense for either a trial or a negotiated plea. When you fill out my online form, or when you call me at 404-642-6333, you will hear directly from me. I do not use junior associates to handle my cases and I do not use paralegals to screen my calls. I am well aware that my clients depend on me to help preserve their freedom and their financial resources and I take that responsibility very, very seriously. Why Should I Choose You as my DUI Defense Lawyer? In the State of Georgia, a DUI charge is not your average ‘traffic ticket’ capable of being open and closed without a court appearance or significant punishment. Under Georgia law, even a first DUI charge is a misdemeanor crime, requiring jail time and staying on your criminal history, or rap sheet, forever. DUI convictions in Georgia also result in heavy fines, probation time, alcohol counseling, and other time consuming restraints. Since 2008 I have devoted my practice to defending DUI and criminal misdemeanor and felony cases in the courts of Atlanta and surrounding areas. Prior to opening my firm, I was an associate attorney at one of the busiest DUI defense firms in the Atlanta area. During the almost three years I was there, I personally handled or assisted with several hundred DUI cases in just about every court handling DUI in the Atlanta area. My experience has been that all DUI arrests will have weaknesses or flaws in the arrest procedure. These flaws can provide the negotiating leverage necessary to work out a reasonable deal with the prosecutor. Further, every DUI court has its own practices and procedures and having practiced in all of these courts, I can provide you insight as to what will likely happen next. With NHTSA training in field sobriety, and many hours of in-class and hands on training in how machines such as Georgia’s Intoxilyzer 5000 and the Intoxilyzer 9000 work, I have extensive knowledge about the science and method behind the procedures used. There is no charge for a consultation to go over the facts and circumstances of your DUI arrest. Simply call me directly at (404) 590-6642, or fill out the initial contact form on my website and lets get started in your defense. With the high-stakes nature of DUI defense in Georgia’s courts, you must have a skilled and DUI experienced attorney by your side. Call me today and we will lay out a course for your defense. Under Georgia DUI law, there are five ways a driver can be driving under the influence to the extent that it is illegal to be operating your vehicle. The five ways are to be driving (1) under the influence of alcohol to the extent you are a less safe driver, (2) under the influence of any drug to the extent you are a less safe driver, (3) under the intentional influence of any glue, aerosol, or other toxic vapor to the extent you are a less safe driver, (4) under the combined influence of one or more of the above substances, and (5) with an alcohol concentration of .08 grams or more (DUI per se) within three hours of driving a vehicle in Georgia. The most common Georgia DUI charges are (1) and (5), under the influence of alcohol to the extent it is less safe for you to drive, and having an alcohol concentration of .08 grams of more in your system within three hours of driving. With these two charges, the arresting officer in Georgia must form probable cause that alcohol is present in your person, and that you were in actual control of a vehicle. To support the .08, “per se” DUI charge, an officer must have a Georgia implied consent chemical test. This chemical test must either be done on the Intoxilyzer 5000 if it’s a breath test, or with an approved blood and urine collection kit, if the officer requests one of these substances. Georgia chemical tests are based on scientific principles and concepts, and must therefore strictly adhere to guidelines to stand a chance at being accurate. Even when a test is done in the prescribed manner, the tests are still far from perfect. For example, the Georgia legislature has passed a law that allows a Georgia breath tests performed on the Intoxilyzer 5000 to be within approximately 25% of each other to be admissible. Therefore, if you blow a .08 on your first sample, the second sample can come back at a .10, or a .06, and still be considered a valid test in Georgia. Needless to say, most drivers under arrest in Georgia for DUI would prefer the .06 result, but who knows what it may be? Georgia’s legislature doesn’t require the tests to be any more accurate than this. In all DUI arrests made in Georgia, the arresting officer must gather evidence of your intoxication and must form an opinion that you are a less safe driver due to your intoxication. In other words, that you are driving while impaired, rather than after simply having consumed alcohol, drugs, or inhalants. It is not illegal to consume alcohol, or legally prescribed drugs in the state of Georgia and then drive, although this is a common misconception. If you have been arrested for driving under the influence in Georgia, you will need a skilled and experienced DUI attorney on your side to attack the state’s case, and their ‘scientific’ evidence that you were driving under the influence. Under Georgia DUI laws, there are two machines commonly used to capture a breath sample in the pursuit of a DUI arrest. Oftentimes, and understandably, clients are confused because they ‘refused’, yet they blew into a breath machine on the roadside. The first DUI breath test Georgia police officers use is known as a PBT, or preliminary, or portable breath test. This is a roadside breath test device used to screen for the presence of alcohol. While it does provide a numeric alcohol level to the officer, DUI trained police in Georgia are instructed to never reveal the results of this test to a subject under DUI investigation. If your arresting officer did tell you the results of this test, you need to be sure to tell your attorney. In general, courts will not allow the numerical result of a PBT to be admitted into your case. The second machine used in Georgia to take your breath sample in a DUI arrest is the Intoxilyzer 9000. The Intoxilyzer 9000 is Georgia’s official breath testing machine. (And the only machine certified in Georgia) The 9000 just took over as the exclusive breath testing machine on January 1, 2016, from its predecessor the Intoxilyzer 5000, which was in use since the mid-1980’s model. The intoxilyzer test will almost always be the strongest piece of evidence the state has in your DUI case. In order to have you take a breath test on the Intoxilyzer 9000, the law enforcement officer must have you placed under arrest for DUI and must read you Georgia’s Implied Consent Notice (ICN). Often times, people arrested that have ‘refused’ DUI testing are thoroughly confused by the whole scenario. Understandably, after you take a road-side breath test, and are still placed under arrest for DUI, many people refuse further testing. After all, what good did it do you the first time? Regardless, the Intoxilyzer 9000 is the test most often demanded under Georgia’s implied consent notice. A refusal to submit to this testing will give the officer the right to suspend your license for one year on a first lifetime DUI charge, with no possibility of a ‘hardship’, or Georgia limited driving permit. It is crucial to speak with an attorney as soon as possible after your release from jail to analyze your evidence and determine the best possible course for your defense. At Zeliff|Watson, we never see your breath test result and run. We have years of experience in fighting infrared breath testing (which is all the 9000 is). If you have been charged with DUI, and took any breath test- either on the roadside, or back at the station, give us a call today to discuss your defense and how we will attack the breath test. We can be reach via the contact form on this site, or at (404) 590-6642. What if I Refuse a Breath or Blood Test? Under Georgia’s implied consent law, all drivers are obligated to take a chemical test if requested by an officer who has arrested you for DUI. If you refuse to take the test required, usually a blood or breath test, the arresting officer is trained to mark you as a ‘refusal’, and submit paperwork to the Georgia Department of Driver Services in an attempt to suspend your Georgia driver’s license, or take away your privilege to operate a vehicle on Georgia’s roadways. Even if you have never before been arrested for a DUI charge, a ‘refusal’ to submit to the officer’s chemical test will have your license suspended for one year, with no work permit, or hardship license available. Quite simply, you will not be able to legally drive in Georgia for twelve months after your arrest, unless your DUI charges are dropped, or your attorney is able to successfully negotiate a deal with the arresting officer at an administrative hearing in order to salvage your driver’s license privileges. After being arrested and charged with refusing Georgia’s testing of your blood or breath, you only have 10 business days from your date of arrest to submit an appeal letter to the Georgia Department of Driver Services (DDS) demanding that the state give you a hearing, with the arresting officer present, before they suspend your license. Georgia DDS now also requires that you send a money order for $150.00 along with your request for an administrative license hearing. If your request is timely received, and the hearing granted, you will be notified by mail of the hearing date and location. This hearing will determine whether you will retain your right to drive- having an attorney is a must for this hearing, with so much at stake. At your administrative suspension hearing, there are typically three possible outcomes. The first outcome is that after hearing the evidence, the Judge affirms the arresting officer’s decision to arrest you for DUI, thus suspending your license for one year. The second possible outcome is for the Administrative Law Judge (ALJ) to rule in your favor, finding that the officer did not have reasonable grounds to arrest you for DUI, or finding that you did not refuse testing. The third outcome is to negotiate a deal with the arresting officer where your license will not be suspended, usually in exchange for a guilty plea to the charge of DUI once your case comes up in the criminal court. The administrative hearing has no bearing on the criminal case you are facing for a DUI arrest. It simply determines whether your license will be suspended for one year for refusing the required blood or breath testing. Before you have been arrested in Georgia for DUI, you maybe asked to blow into a hand-held device that the police officer has in the field at your vehicle. This is usually a PBT, or preliminary breath test, also known as a “breathalyzer.” This test is not mandatory, and while it gives a numerical breath alcohol reading, only a positive or negative indication is currently admissible in Georgia courts. After arrest, Georgia police officers are trained to read a DUI suspect the Georgia Implied Consent Notice in an effort to obtain a blood, breath, or urine sample. If you have been read implied consent, and are either told to give a breath sample in Georgia’s Intoxilyzer 5000, or submit to a blood draw, this is the official chemical test for the state’s DUI case against you. Refusing to this testing will subject you to a driver’s license suspension for your alleged refusal. A refusal suspension is a one year suspension, and you are not eligible for a hardship, work, or limited permit under Georgia law. Oftentimes, and understandably, clients are confused because they ‘refused,’ yet they blew into a breath machine on the roadside. After you take a road-side breath test, and are still placed under arrest for DUI, many people refuse further testing. After all, what good did it do you the first time? Regardless, the Intoxilyzer 5000 is the test most often demanded under Georgia’s implied consent notice. A refusal to submit to this testing will give the officer the right to suspend your license for one year on a first lifetime DUI charge, with no possibility of a ‘hardship’, or Georgia limited driving permit. It is crucial to speak with me as soon as possible after your release from jail to analyze your evidence and determine the best possible course for your defense. What are the Consequences of my Refusal to Perform Field Sobriety Tests? Often times a police officer making a DUI arrest will ask or demand that you take some type of field sobriety testing. Nervous, and feeling that compliance is required, most all drivers submit to these roadside tests, and unknowingly help the police officer build a DUI case against them. In the State of Georgia, all POST certified law enforcement officers have taken the NHTSA class on field sobriety testing. In this 24 hour training course, officers learn how to administer the basic field sobriety evaluations, as well as basic concepts in alcohol detection and physiology. If you have been suspected of a DUI in Georgia, chances are the officer asked you to perform these field test, which include the horizontal gaze nystagmus test, the walk and turn test, and the one leg stand test. Officers also frequently include a preliminary breath test, some form of alphabet test, and other agility exercises when investigation a suspected DUI driver. While 9 of 10 drivers think these tests are mandatory, they are not. The Georgia Constitution, as well as Georgia law, protects all citizens of this state from being compelled to give evidence against themselves. While compliance is not required, it is up to the driver to exercise his right to refuse taking these field sobriety tests. Additionally, once in custody and charged with a crime, no officer can make a citizen of Georgia submit to any further testing, absent a warrant or other statutory power. The right to refuse these field sobriety tests is frequently confused with Georgia’s Implied Consent law and the right to refuse chemical testing of your blood, breath, or urine. While you do have the right to refuse testing under Implied Consent law, refusing the tests requested by the arresting officer will carry driver’s license penalties. Refusing to take field sobriety tests, before you are placed under arrest carry no driver’s license penalties. What is the “Implied Consent” Law for Georgia Drivers? In the State of Georgia, all drivers are deemed to have given their consent to law enforcement to take tests of their blood, breath, urine, or other bodily substances to determine the presence of alcohol, or any other drug, if you have either been arrested for DUI charges, or have been involved in an accident involving serious injuries or fatalities. All states now have enacted implied consent laws, though they vary in scope and application. In Georgia, implied consent pertains to chemical testing of your bodily substances. The most common chemical testing is the Georgia breath test (the Intoxilyzer 5000), or a Georgia blood test, drawn by qualified personnel and sent to the Georgia Bureau of Investigation for testing. Implied consent does not include the performance of field sobriety tests like the One Leg Stand, Walk and Turn, and preliminary, or roadside, breath test. These field sobriety tests are optional in Georgia, though law enforcement officers rarely make this known to drivers under investigation for DUI. While you are deemed to have given consent in Georgia for your bodily substances to be tested, the Georgia implied consent law does allow a suspect to refuse the testing. However, a refusal of testing comes with more harsh penalties, such as at least a one year suspension of your Georgia driver’s license, or privileges to drive on Georgia’s roadways. Even an out of state license holder caught driving under the influence in Georgia is subject to Implied Consent laws, and is facing having their Georgia driving privileges suspended, as well as their driver’s license in their home state. If you are facing a DUI charge in Georgia, it will be necessary to consult with an attorney to determine the possible license implications that a DUI will have on your home state license. From the date you were arrested, you will only have 10 business days to send the Georgia Department of Driver Services your appeal letter demanding a hearing before your privileges are suspended. Learn more about the following areas. Have you been arrested for DUI or another traffic offense by a Sandy Springs police officer? If so, you have the option of having your case heard by a Sandy Springs judge, or by a Fulton County judge. There are pros and cons associated with each of these venues – here is some of the basic information you need to know. If you want to discuss your specific case with me, please call me at 404-590-6642. Sandy Springs police officers are empowered to enforce both the traffic laws of the City of Sandy Springs as well as the traffic laws set out under Georgia state law. This means that if a Sandy Springs police officer observes any violation of city or state law, he can stop you and arrest you. If you are arrested for a traffic offense in Sandy Springs, you generally have the option of dealing with the charge in Sandy Springs Municipal Court, or having your case “bound over” to Fulton County. Very serious offenses like vehicular homicide will be bound over automatically as Sandy Springs prosecutors are not set up to investigate and prosecute certain felony cases. Misdemeanor traffic offenses – including DUI – can be handled in Sandy Springs Municipal Court and, as a matter of strategy, I find that there are many instances where a municipal court like Sandy Springs can offer my clients a faster resolution and reasonable plea terms. Choosing to proceed in Sandy Springs vs. binding (transferring) the case to Fulton County has advantages and disadvantages. I encourage you to discuss the pros and cons with a lawyer before making this decision. If you are arrested and charged with DUI in Sandy Springs, you probably had to bond out of the Fulton County Jail in Alpharetta, though your case will still be heard in Sandy Springs Municipal Court on the date you received on your citations and bond paperwork. Your DUI arrest represents both a criminal charge filed against you by the City of Sandy Springs and a civil charge regarding your driver’s license filed against you by the Department of Driver Services of the State of Georgia. While you can and should be focused on the criminal charge, you should not ignore the threat to your driver’s license. In fact, under Georgia law, within ten (10) days after your arrest, you must send a letter to the Georgia Department of Drivers Services to request a hearing to determine whether you can keep your license. If you do not request this “administrative” hearing, you will lose your license for a year. I regularly speak to new clients who waited more than 10 days to call me and while I can help those folks with regard to their DUI charge, I cannot do anything to preserve their right to drive for the next year. If it has been less than 10 days since you or your loved one was arrested for DUI, please call me now to discuss the steps you need to take to preserve your right to drive. Since Driving Under the Influence is a violation of both Georgia state law and Sandy Springs municipal law, you generally have the right to have your case decided in either Sandy Springs Municipal Court or in Fulton County state court. I have tried cases and entered pleas in both Sandy Springs Municipal Court and in Fulton County and I would happy to discuss with you the advantages and disadvantages based on the facts of your specific case. Plea bargains are potentially available both in Sandy Springs or in Fulton County state court. The factors that go into plea bargain negotiations will be very specific to your case. Like every criminal defense lawyer, I have my own approach to these negotiations, and I discuss those strategies only with my clients. I will say that a “successful” resolution of your DUI case can range from an outright acquittal (being found not guilty) to a reduction of DUI charges to a less serious crime like disorderly conduct or reckless driving. Always, my goal in a DUI defense representation is to represent your zealously, minimize your fine and jail time, and preserve your right to drive. If you have been pulled over and arrested or cited with a traffic violation in the City of Dunwoody, Georgia, your case will most likely be heard in the Dunwoody Municipal Court. If you have been charged with a violation of Georgia law, you have the right to a jury trial that would take place in the DeKalb County State or Superior Court. This jury trial right is in place for all Dunwoody DUI charges. However, there are many factors to weigh before making the decision to send a case to DeKalb, as opposed to fight the case in Dunwoody’s court. If you are facing a DUI or other traffic charge in Dunwoody, call or email me today to discuss your best options in fighting your case. Since April 1, 2009, Dunwoody police have been empowered to enforce both the traffic laws of the City of Dunwoody as well as Georgia traffic laws. If a Dunwoody police officer observes any violation of city or state law, they can stop you and arrest you. If you are arrested for a traffic offense in Dunwoody, you generally have the option of dealing with the charge in the Dunwoody Municipal Court, or having your case “bound over” to DeKalb County. Very serious offenses like vehicular homicide will be sent to DeKalb County automatically, as the Dunwoody court does not have authority to hear the case. Misdemeanor offenses in Dunwoody– including Dunwoody DUI charges – can be handled in the Dunwoody Municipal Court and, as a matter of strategy; I find that there are many instances where Dunwoody’s court can offer my clients a faster resolution and advantageous plea terms. If you have been charged with shoplifting in Dunwoody, please see my information on defending a Dunwoody shoplifting charge. Choosing to proceed in Dunwoody vs. binding (transferring) the case to DeKalb County for a trial has advantages and disadvantages. I encourage you to discuss the pros and cons with me before making a decision. If you are arrested and charged with DUI in Dunwoody, you will be booked into the DeKalb County jail (detention center located at 4415 Memorial Drive Decatur, GA 30032) and bail will be set by a judge that handles cases in DeKalb, or by a determined by a pre-determined bail schedule. You will need to find a bonding company approved to post bonds in DeKalb or have the means to make your own bond to be released from jail. Your DUI arrest is both a criminal charge filed against you by the City of Dunwoody and a ‘civil’ charge regarding your driver’s license filed against you by the Department of Driver Services of the State of Georgia, when initiated by a Dunwoody police officer. While you can and should be focused on the criminal charge, you should not ignore the threat to your driver’s license. I regularly speak to new clients in who waited more than 10 days to call me and while I can help those folks with regard to their DUI charges, there is little that can be done to preserve their right to drive for the next year. If it has been less than 10 days since you were arrested for DUI, please call me now to discuss the steps you need to take to preserve your right to drive. Since Driving Under the Influence is a violation of both Georgia state law and Dunwoody municipal law, you generally have the right to have your case decided in either Dunwoody Municipal Court or in DeKalb County state court. I have tried cases and entered pleas in both Dunwoody Municipal Court and in Fulton County and I would happy to discuss with you the advantages and disadvantages based on the facts of your specific case. Plea bargains are potentially available both in Dunwoody or in DeKalb County state court. The factors that go into plea bargain negotiations will be very specific to your case. Like every criminal defense lawyer, I have my own approach to these negotiations, and I discuss those strategies only with my clients. I will say that a “successful” resolution of your DUI case can range from an outright acquittal (being found not guilty) to a reduction of DUI charges to a less serious crime like a simple traffic offense or reckless driving. No matter what the situation we face, my number one goal is to represent you zealously and fight to have you exonerated of the charges you face. Call my office today to take the next steps in defending your case. My satellite office is conveniently located in the heart of Dunwoody at: 1854 Independence Square, Dunwoody, Georgia 30338. TRUSTWORTHY AND WILL WORK HARD FOR YOU! Evan Watson is awesome!! This is someone that works hard for you and I just don’t think that’s easy to find in an attorney. I never did tell Evan but I have been contemplating law school for about 3 years now and to see him represent me in the court room the way he did I am truly inspired to apply to school now! I trusted his judgment without question from the first moment I met him. I could tell he took his job serious and had passion for his cases. He gathered each and every fact he possibly could to represent me. His confidence, preparedness, and knowledge shows in the courtroom. Evan was so factual that it left no room for the opposing counsel to argue and he made such an impression on the remaining audience in court that someone asked for his business card after we left. I already knew that I hired the right person to represent me, but that was just icing on the cake to see someone stop us in the hall on the way out to request his business. Evan Watson is someone that will fight for you with your best interest at heart. Thank you Evan! The City of Roswell has a court for DUI cases made by their police department. Though you can have a trial in front of a Judge in the City of Roswell’s DUI court, you also have the right to a jury trial, which would take place in the Fulton County Court system, even on local Roswell traffic tickets or DUI charges. There are many factors that go into the jury trial decision, which involves moving your case from the Roswell Municipal Court. If you have a DUI, or other charge pending in Roswell, call, or email me today and I will be happy to discuss your options with you. Roswell law enforcement officers are empowered to enforce both the traffic laws of the City of Roswell as well as the traffic laws set out under Georgia state law. If a Roswell police officer observes any violation of city or state law, he can stop you and arrest you. If you are arrested for a traffic offense in Roswell, you generally have the option of dealing with the charge in Roswell Municipal Court, or having your case “bound over” to Fulton County. Very serious offenses like vehicular homicide will be sent to Fulton County automatically, as the Roswell court is not empowered to handle felony charges. Misdemeanor traffic offenses in Roswell – including a Roswell DUI – can be handled in Roswell Municipal Court and, as a matter of strategy; I find that there are many instances where a municipal court like Roswell can offer my clients a faster resolution and advantageous plea terms. Choosing to proceed in Roswell vs. binding (transferring) the case to Fulton County has advantages and disadvantages. I encourage you to discuss the pros and cons with a lawyer before making this decision. If you are arrested and charged with DUI in Roswell, you will be booked into the Roswell jail (located at 39 Hill Street, Roswell, Georgia 30075) and bail will be set by a judge that handles cases in Roswell, or possibly determined by a pre-determined bail schedule. You will need to find a bonding company approved to post bonds in Roswell, or have the means to make your own bond to be released. Your DUI arrest represents both a criminal charge filed against you by the City of Roswell and a civil charge regarding your driver’s license filed against you by the Department of Driver Services of the State of Georgia. While you can and should be focused on the criminal charge, you should not ignore the threat to your driver’s license. Since Driving Under the Influence is a violation of both Georgia state law and Roswell municipal law, you generally have the right to have your case decided in either Roswell Municipal Court or in Fulton County state court. I have tried cases and entered pleas in both Roswell Municipal Court and in Fulton County and I would happy to discuss with you the advantages and disadvantages based on the facts of your specific case. Plea bargains are potentially available both in Roswell or in Fulton County state court. The factors that go into plea bargain negotiations will be very specific to your case. Like every criminal defense lawyer, I have my own approach to these negotiations, and I discuss those strategies only with my clients. I will say that a “successful” resolution of your DUI case can range from an outright acquittal (being found not guilty) to a reduction of DUI charges to a less serious crime like a simple traffic offense or reckless driving. No matter what the situation we face, my number one goal is to represent you zealously and fight to have you exonerated of the charges you face. Call me directly at (404) 590 6642 to discuss your case. Read this information on Alpharetta Municipal Court first, then call me directly at (404) 590-6642 to speak about your particular case. 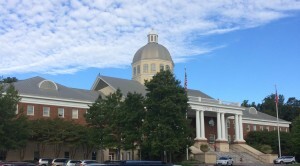 If you are facing a DUI or other misdemeanor charge in the City of Alpharetta, Georgia, your case will be heard either in the Alpharetta Municipal Court, or the Fulton County State or Superior Courts. Local ordinance charges, most misdemeanors, and DUI charges can all be heard in Alpharetta Municipal Court. You are entitled to a trial by Judge in the Alpharetta Court. However, you also have the right to a trial by jury for all misdemeanor crimes in the State of Georgia, and can demand that your case go to Fulton County for jury trial. If you are facing the tough decision of how and where to fight your case, do not go it alone. Call me directly and I will walk you through your defense options. Alpharetta police have the duty to enforce both the traffic laws of the City of Alpharetta and Georgia traffic laws. If an Alpharetta police officer sees a violation of city or state law, they can stop you and arrest you. If you are arrested for an offense in Alpharetta, you generally have the option of dealing with the charge in the Alpharetta Municipal Court, or having your case “bound over” to Fulton County. Very serious offenses like vehicular homicide, or other felony charges will be sent to Fulton County automatically, as Alpharetta does not have authority to hear the case. Most misdemeanor offenses in Alpharetta– including Alpharetta DUI charges – can be handled in the Alpharetta Municipal Court and, as a matter of strategy; I find that there are many instances where Alpharetta’s court can offer my clients a faster resolution and advantageous plea terms. Choosing to proceed in Alpharetta vs. binding (transferring) the case to Fulton County for a trial has advantages and disadvantages. I encourage you to discuss the implications of each choice with me before making a decision. If you have been charged with DUI in Alpharetta, please see my page here for information on defending your case. Georgia has become very serious about punishing DUI defendants, even if this arrest is your first ever DUI charge. In fact, compared to other crimes set out in the Georgia criminal code, the punishment for DUI can be far more severe than the punishment for other offenses. For lawyers like me, the strategies we use to defend DUI clients has changed significantly over the years. In the 1980’s and 90’s, DUI defense lawyers were able to enter pleas of nolo contendere in first time DUI cases. In those days, a “nolo plea” meant that a defendant could avoid both jail time and the stigma of a DUI conviction on his record. Unfortunately, the days of pleading nolo are now gone. Now, nolo pleas are rarely accepted by DUI judges and defendants who plead guilty to a (first time) DUI will face large fines and jail time. Therefore, the strategy I use when representing my clients involves looking for weaknesses in the prosecutor’s case with the goal of either fighting for a not guilty verdict, or negotiating a deal with the prosecutor for a guilty please for a reduced charge. DUI prosecutors in north Georgia are skilled and tough advocates which is why I have spent so much time educating myself about trial and negotiating tactics that work. Obviously, I hope that you call me to represent you but if you go elsewhere, I urge you to make sure that any lawyer you choose has extensive trial and courtroom negotiation experience. I would encourage you to avoid general practice lawyers who handle one or two DUI cases a year. These are absolute minimum guidelines under Georgia DUI law. However, in practice, there are often times more conditions pushed for by the State in DUI prosecutions. Getting a substance abuse evaluation is almost always advocated for by the prosecutor, as well as any substance abuse treatment that is recommended by your evaluator. Attendance at a MADD victim impact panel is also becoming more commonplace, as are mandatory A/A meetings. With the political pressures facing Georgia Judges, prosecutors, and politicians to put an end to drunk driving, these punishments are almost certain to become more and more burdensome in the future. Bills have already been introduced, and are winding their way through Georgia’s Congress, that would require all first time Georgia DUI offenders to get an ignition interlock device placed on their vehicle. As you can see, even on a first DUI, the punishment enacted by the Georgia legislature is severe. After all is said and done, a first DUI could easily cost $2500+ in fines, fees, and court ordered conditions. The benefit of having a clean record and facing only a first DUI arrest is that the prosecutor will not have any past history of DUI driving to fall back on. In Georgia, if you have been previously convicted of a DUI, the law is usually very lenient in allowing the prosecuting attorney to bring evidence of your prior DUIs into trial. The downside is obvious; the jury gets to hear this character/propensity evidence, and many people would tend to think that “you’ve done it once, so you must have done it again”. If you’re fighting a first DUI, it becomes all the more important to have a skilled and experienced defense attorney fighting your case. In Georgia, a DUI conviction is forever. It will not ‘age off’, or be eligible for expungement after a certain time period. Government, jobs, schools, and others will forever be able to see that you have been convicted of a DUI, and the consequences are almost always severe. Call me on my direct line, or submit a case inquiry today and I will discuss your options with you for fighting your DUI charge. There is no charge for my consultation time, and at the very least, I will give you my game plan for fighting your case. What are the Penalties for a 1st Time DUI Conviction in Georgia? These are absolute minimum guidelines under Georgia DUI law. However, in practice, there are often times more conditions pushed for by the State in DUI prosecutions. Getting a substance abuse evaluation is almost always advocated for by the prosecutor, as well as any substance abuse treatment that is recommended by your evaluator. Attendance at a MADD victim impact panel is also becoming more commonplace, as are mandatory A/A meetings. With the political pressures facing Georgia Judges, prosecutors, and politicians to put an end to drunk driving, these punishments are almost certain to become more and more burdensome in the future. Bills have already been introduced, and are winding their way through Georgia’s Congress, that would require all first time Georgia DUI offenders to get an ignition interlock device placed on their vehicle. Will the Prosecutor Understand that I am a Good Person who Just Made a Mistake? In 2008, nearly 30% of motor vehicle fatalities on Georgia’s roadways were alcohol related. Of surrounding states, only Florida’s fatality rate was higher. With between 400-500 alcohol related driving deaths each year, Georgia law enforcement, and prosecutors take an extremely tough stance on DUI cases, with the goal in 100% of new cases to earn a DUI conviction through a guilty plea. If you’ve been charged with a DUI in Georgia’s courts, the opposition wants and expects you to plead guilty to the charge and accept the punishment that comes along with a guilty plea. While you truly may not be a threat to anyone and this DUI arrest may be a once in a lifetime mistake, do not expect any prosecutor or judge to give you a break. I have personally represented doctors, other lawyers, business executives, medical personnel, military veterans, and the like, and no prosecutor has ever been willing to let a DUI charge ‘slip by’ or go unnoticed because of the client’s status. Even on a first ever DUI charge, with no other criminal or traffic record, prosecutors want convictions in Georgia. Defending those accused with DUI and similar crimes is all I do. With hundreds of cases under my belt, I am willing and prepared to defend your case and fight every step of the way. Whether your case has a breath test, an alleged refusal of chemical testing, field sobriety tests, or no field sobriety tests, it is my job to pick apart the case, identify the weaknesses in the prosecution’s case and help you decide on a defense strategy. Call me directly or fill out my contact form on this website and lets get started in your defense today. There is zero charge for an initial consultation and I am happy to lay out your best defense strategy for you. What are the Penalties for a Second DUI Conviction in Georgia? Under Georgia DUI laws, there is now 10 year look back window for DUI arrests. This means that when a judge or prosecutor is determining the minimum punishment for a guilty plea, or guilty verdict in your case, they will see how many previous DUI’s you’ve encountered, counting back 10 years. While this 10 year look back window determines minimum punishments under Georgia law, prosecutors and judges may still require more punishment than the minimum, even if your prior arrests were outside of the look back period. The look back period just sets out minimum punishments, but does not limit the power of the court to impose far more severe punishments. While these are the mandatory minimums, courts often impose far higher punishments on drivers facing a third DUI charge, even if the prior offenses were about to ‘age off’ of the 10 year look back window. Treatment will almost always be necessary, as well as significant jail time above the minimum 15 days. Additionally, since a third DUI is a misdemeanor of a high and aggravated nature, the fines will almost always top the minimum $1,000.00 threshold. Additionally, if 2 or more of the DUI arrests have come within a 5 year period of time, convictions will lead to driver’s license penalties that will vary from a 1 to 5 year suspension. What are Other Consequences of a DUI Conviction? Even a first DUI conviction in Georgia can easily cost between $5,000- $10,000 by the time you have satisfied all of the court imposed terms in conditions of your sentence. However, the collateral consequences of pleading guilty to a DUI can be much greater. Professional organizations, schools, and current employers are all likely to have tough policies in place for DUI convictions. 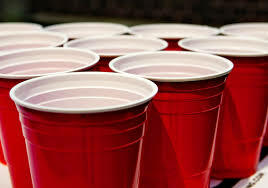 For instance, the Georgia Bar, the governing body of all attorneys licensed to practice law in Georgia, has deemed those convicted of DUI ineligible to sit for the bar examination for twelve months from the date their plea was entered. Even if the DUI charges are dropped, and the applicant pled to a lesser offense like Reckless Driving, the bar maintains the twelve month ineligibility window. In real life, this can equate to thousands of dollars in lost income, long term rehabilitative requirements, and the stigma associated with a criminal alcohol-related conviction. Almost every professional organization now has strict and unwavering policies in place to deal with DUI charges. Military, medical, education, transportation, and those entrusted with fiduciary duties are some of the most common clients I see where a DUI charge in Georgia is almost guaranteed to have devastating and long lasting effects on their career. If you have been arrested for a DUI, or other alcohol or drug related charge, promptly contact my office and I will discuss your situation with you and lay out the best options in defending yourself and protecting your career. Life is already hard enough for minors in Georgia. MIPs (minor in possession), underage consumption, and DUI laws are all very slanted against you as a minor. Under Georgia’s DUI laws, minors are defined as anyone who has not reached 21 years of age. For those Georgia drivers under 21, the DUI laws are significantly more rigid, and a ‘zero tolerance’ law is enforced. Under Georgia’s DUI statute, no minors may drive a moving vehicle with an alcohol concentration of 0.02 grams or more of alcohol in their bloodstream. The .02 margin is built in due to the limitations Georgia’s breath testing machines encounters- they simply are not accurate enough and can produce false positives at levels lower than this .02 threshold. Being charged with a DUI as a minor can be a show stopper for several reasons. First, a DUI arrest is put on your record immediately, meaning any applications, including college and first job applications must disclose the charges, or face being caught down the road. Second, DUI charges carry a minimum period of probation of 12 months. This means that once a month you will be reporting to probation, no matter what your circumstances. Of course, getting off to school or taking a job in a different city or state will certainly be more challenging with these requirements hanging over you. Finally, remember: A DUI is for life. Not only will the DUI charges impact the immediate future, but a DUI charge never comes off your criminal record, meaning its something you will always have to disclose and hope that employers can overlook it. If you’re under 21 and facing a DUI charge, it becomes even more critical that you hire a competent DUI attorney to guide you through the court system, fighting your case and protecting your rights. The restrictions on your driver’s license alone are much more severe than for over 21 drivers, with no limited, or hardship permits ever being issued, no matter what your situation- high school, college, internships and jobs- none of these activities allow you to get any license privileges to attend. If you are facing a DUI and are not 21 years old, give me a call today to discuss your case and how I will defend it. While the standard makes under 21 DUI cases more challenging, there is hope and there are alternatives to simply laying down and taking the DUI charge. I can be reached through the contact form on this site, or directly at: (404) 590-6642. I was pulled over for a DUI recently and the officer took my license. Can I now drive, or is my license suspended? Under Georgia law, you are entitled to an Administrative Hearing before your Georgia driver’s license or privileges to drive in Georgia are suspended. At this hearing, a judge will review whether the officer had reasonable grounds to suspect that you were DUI. Upon arrest, the officer is trained to confiscate your Georgia driver’s license, or other state driver’s license if you are carrying one, and forward the license to the Georgia Department of Driver Services. The arresting officer is also supposed to give you a form, the Georgia DPS 1205 form, that serves as your temporary permit. The 1205 form is usually a yellow carbon copy sheet of paper with instructions on the back for appealing the suspension. By signing the 1205 form, the officer has initiated the process to suspend your Georgia license or privileges to drive on Georgia’s roadways if you are a non resident. It does not matter whether you agreed to sign off on the 1205 or not. If you do nothing, your Georgia license, or privileges will be suspended after 30 days from your arrest. That is why the “10 day letter” is critical to send in. Georgia’s “10 day letter” effectively puts a stop to your license being suspended, until you have had a hearing in front of an Administrative Law Judge (ALJ). These Georgia 1205 or license suspension hearings are a ‘must have’ for drivers looking at losing their license for anywhere from 1-5 years. At the hearing, your attorney will represent you and attempt to achieve the best outcome possible, negotiating with the officer and sometimes having an evidentiary hearing before the Judge. The most important thing to remember is that you only have 10 business days from the date you were arrested for DUI in Georgia to send the “10 day letter” in. After the window has expired, your Georgia driver’s license will be suspended, with no appeal possible. You may then be left waiting months and sometimes years to fight your DUI case before you are eligible to have your license reinstated in Georgia. I heard that I must ask for an administrative license suspension hearing after my DUI arrest – what is this and what should I do? After being arrested for DUI, your Georgia license will be suspended after 30 days from your arrest unless you send a letter to the Department of Driver Services requesting an administrative hearing. This letter must be sent within 10 days after your arrest. Georgia’s “10 day letter” effectively puts a stop to your license being suspended, until you have had a hearing in front of an Administrative Law Judge (ALJ). These Georgia 1205 or license suspension hearings are a ‘must have’ for drivers who want to keep their driving privileges. At the hearing, which is usually 30-60 days after you and your lawyer have requested it, your attorney will have the opportunity to gain valuable insight into the circumstances surrounding your DUI arrest. The officer that arrested you for DUI will be subpoenaed to the hearing, and if necessary, will be put under oath and subjected to cross examination by your attorney. In many cases, pre-hearing negotiations between your attorney and the arresting officer will end with some type of settlement in an effort by your attorney to salvage your driver’s license privileges. If an agreement can be reached at this administrative license hearing, your driver’s license will remain intact while your criminal DUI case proceeds through the court system. It is critical to retain your driving rights while your case is pending, since many cases will take months and sometimes years to reach a motions hearing or trial, or have a final outcome. If you’ve been arrested and charged with DUI in Georgia, call me as soon as possible to satisfy Georgia DDS’s requirements to be entitled to your drivers license suspension hearing. Remember, if you do nothing and miss the 10 day window, your license will automatically be suspended and there is no way to undo this suspension. Did officer properly administer field sobriety tests? If you’ve been pulled over and arrested for DUI in Georgia, chances are the officer administered field sobriety testing to strengthen his DUI case against you. These tests, designed in the late 1970s under the direction of the National Highway Transportation Safety Administration (NHTSA), usually have two main fatal flaws. (1) Error in the administration of the tests and (2) error in the methodology used to score the tests. Having a defense attorney who knows these tests, and is trained on their administration will enable you to fight your case to the fullest, oftentimes having these tests thrown out, or relied upon very little by your prosecuting attorney. Under NHTSA’s training protocol, there are three main tests given in the field sobriety battery: the horizontal gaze nystagmus (HGN) test, the one-leg-stand test, and the walk-and-turn test. Additionally, NHTSA training suggests the use of other divided attention tasks in evaluating a suspected DUI driver. Some common tasks are a variation of reciting your alphabet, stating the correct time, without looking at a watch or clock, or simply asking the driver to perform two or more tasks at once, such as retrieving their license while explaining to the officer how long they were at their last location. Law enforcement personnel are trained to look for every clue of impairment they can possible spot from the time you are first spotted on the road in your vehicle, to the time you are booked into the jail and they are off to write their report. However, in real life, officers rely heavily, almost exclusively, on field sobriety testing when making the decision to arrest you for DUI. Having spotted the ‘red eyes’ or the ever present ‘slurred speech’ is just the icing on the cake for an officer making a DUI arrest in Georgia. With field sobriety testing weighing so heavily on the officer’s arrest decision, it is important to have an attorney who will attack these tests. The first common error is in the administration of these tests. That is, the officer simply gives you incorrect instructions or fails to perform the tests as required by him or her. Having an attorney that knows word-for-word and step-by-step how these field sobriety tests are to be administered will always benefit your DUI defense. The second flaw in testing is the methodology used to score these tests. Countless studies have been performed examining the scoring of these tests, and many lead to the conclusion that they are unfairly flawed, to say the least. These field sobriety tests are no more than agility test, designed to fail with their unbalanced and weighted scoring system. For example, there are at least 76 ways to get docked on the walk-and-turn performance, yet the cop only needs to see 2 or more indicators in order to fail you on the test. Only missing 2 of 76 may seem like an “A+” to most people, but it will surely help bolster your arresting officer’s DUI arrest in Georgia. An attorney must be willing to question these tests, to explain to prosecutors, judges and juries why they are fatally flawed and should not hold weight in a Georgia DUI case. Did officer have a valid reason to stop me? In Georgia, an officer must almost always have a reasonable suspicion of criminal wrong doing to pull your vehicle over. For law enforcement, simply observing a violation of state law, or erratic driving behavior can be enough ‘suspicion’ to stop you and briefly investigate your situation. There are very few times when police officers in Georgia do not even need a suspicion of wrong doing on the part of a driver, mainly at roadblocks, or “safety checks”. These situations are unique and have their own set of rules. You can read more about road blocks by viewing my article “Georgia Roadblocks- How to Survive One” at: http://www.avvo.com/legal-guides/ugc/georgia-roadblocks--how-to-survive-one.If you’ve been arrested and charged with DUI, the officer’s reason for the stop must always be closely scrutinized. Frequently, there will be video evidence of the encounter, to include your driving behavior before the officer pulls you over. I have used this evidence in many cases and successfully argued to prosecutors that since the driver committed no traffic infraction, that the stop was illegal. If the judge in your DUI case finds that there was no valid reason for your vehicle to be stopped, suppression (or throwing out) the evidence gained from the stop of your vehicle is the proper remedy under Georgia law. Therefore, the officer’s reasoning for stopping your vehicle plays a pivotal role in your case. Additionally, after you’ve been arrested, the officer will almost always write you a citation (or ticket) for your DUI, and any other traffic offenses that he is claiming you committed. If you were issued only one citation for DUI, and have no other citations, it is crucial to make sure your attorney knows this up front. This is a red flag, and the officer’s reason for the stop must be examined very closely- sometimes your administrative hearing, or license suspension hearing, is the best time for your attorney to get this information from the officer, since he must be placed under oath and give sworn testimony. If you have questions about the legitimacy of the officer’s reasoning for stopping your vehicle in a DUI, or other arrest, call me today and I will be happy to discuss your situation with you. Can I Use a “Miranda warnings” Defense in a Georgia DUI Case? Many times in a Georgia DUI investigation the arresting officer will never read you Miranda warnings. Miranda warnings come from the 1965 U.S. Supreme Court case of Miranda v. Arizona, where it was alleged that after hours of interrogation, the suspect signed a confession- though he was never advised of his right to an attorney, or his right to remain silent and not speak with law enforcement. For Miranda to take effect in your case, generally, you must be in custody and the officer must be asking you questions about the crime you are suspected of committing. In a DUI case, Miranda would therefore be necessary if your cuffed and on the way to the jail when the officer asks how much and what type of drinks you had consumed. Any answer you give, without having been read Miranda, should be suppressed by your judge. Georgia law enforcement officers are trained that they must advise you of your Miranda rights before engaging in this type of questioning. The problem with DUI arrests and Miranda is that the first prong is not usually satisfied. You are hardly ever in custody when the officer starts prying into your night and trying to elicit incriminating statements from you. More times than not, within a second of approaching your vehicle and smelling alcohol, the officer is asking if you’ve been drinking, what you’ve been drinking, where, when, etc. These questions and your responses are typically allowed into trial by judges, since you were not under arrest at the time, and free to not answer the officer’s questions. Remember, only when you are under arrest- usually cuffed and verbally told you’ve been placed under arrest- is Miranda required before any further questioning. You are always free to not answer questions, both before and after you have been arrested. In Georgia, Miranda concepts and Georgia statutory protections apply to field sobriety testing as well. You cannot be forced to commit actions that incriminate yourself. Therefore, all field sobriety testing is voluntary, though the officer investigating you will hardly ever tell you this. Even after you’ve been arrested, you cannot be forced to submit to field sobriety testing. At this point, if the officer wants more evidence, he would need to read you your Miranda rights and have you waive the rights and agree to do any further field testing. Remember, Georgia Implied Consent Law is separate from the principles covered by Miranda. Under Georgia’s Implied Consent Law, you are required to give a test of your blood, breath, urine, or other bodily substances, but you always have the right to refuse the testing. Unfortunately, a refusal will always result in at least a one year suspension of your license, with no work, or limited permits available. 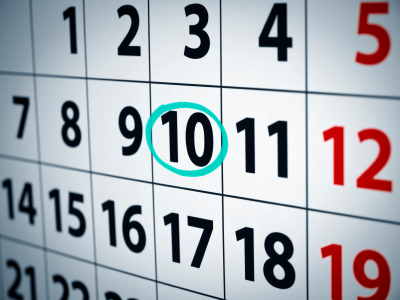 It is absolutely vital to contact an attorney as soon as possible after being arrested for DUI, especially when facing a refusal situation- you will only have 10 business days to appeal the officer’s suspension of your license before it goes into effect following your arrest. What will happen at my first court date for my DUI charges? Chances are, if you have been arrested and charged with Driving Under the Influence (DUI) in Georgia, you were issued Uniform Traffic Citations (UTCs) after the actual arrest. The UTC, or ticket, is simply the officer’s charging document that informs you of the charges against you, and contains other case-related information. On this citation, your first court date, known as the arraignment date, is usually on the bottom third of the ticket. This date is the first time you are ordered to appear in the criminal court with jurisdiction to answer up for your charges. Remember, this court date has nothing to do with your license suspension hearing, which requires that you proactively take steps to guarantee your right to a hearing before your license is suspended. This court date simply deals with your criminal case; one does not necessarily impact the other. It is important to get your arrest information and citations into an attorney’s hands as soon as possible. At your first arraignment date, the prosecutor and court will expect you to have already retained an attorney and be ready to enter your plea in your case. There are only two main pleas in a standard DUI case in Georgia- Guilty and Not Guilty. Nolo contendre, or “no contest” pleas, are not commonly accepted for DUI charges and are treated as guilty pleas for license suspension and punishment purposes. Pleading Not Guilty does not bind you to a trial no matter what. I always plea clients Not Guilty at or before this first arraignment date in order to buy time to investigate the case thoroughly, and gather all relevant evidence before formulating our best defense strategy. If you have been arrested for DUI and are approaching an arraignment date, contact me directly to discuss your options. There is a brief 5 page questionnaire that I urge clients to complete in order to allow me to better assess your case before we speak, however, I’m willing to give an initial consultation with only a phone call. Remember, there is important evidence that must be gathered prior to these court dates, and once the date is near, judges and prosecutors do not like delaying their cases. Call me today and we will get started on your defense strategy. Is it true that if the officer doesn’t show, the DUI charge maybe dropped? Everyone has heard the jailhouse lawyer advice that if the cop doesn’t show up to court, you will win your case. In reality, police officers who are prosecuting DUI charges in Georgia are very rarely required to attend your first court date. This court date, known as arraignment, is simply where you answer to your DUI charges. Your plea must be entered as “Guilty”, “Not Guilty”, or “No Contest.” Under current Georgia DUI laws, no contest pleas are very rarely accepted, but that is not relevant to whether or not the cop must show. In order to effectively fight your DUI case, it is highly advantageous to have your DUI lawyer on board before this first court date. Often times, if you wait until court to ask the Judge for more time to get a lawyer to defend your DUI, you will only make the situation worse; you will be hurried along, and given a short period to obtain counsel, usually. This is highly detrimental to your case, because now your lawyer is faced with having to obtain your evidence on a rushed basis- which is normally very difficult when dealing with government agencies. In general, you usually want to give your DUI attorney at least 2-3 weeks notice before your arraignment date. That way, your attorney can communicate with the court, and make them aware that your DUI charges will be defended against. While arraignment is not a “do or die” court date, it is essential to walk in with competent DUI representation and a game plan for defending your charges. So, don’t chance something as important as a DUI case on the cop not showing. Prosecutors and cops communicate and schedule DUI hearings and trials weeks in advance, and chances are, even if the officer is unavailable for a hearing, the judge will reset the case in order to give the officer a chance to appear. Is it True that a Good Lawyer Can Fight a “DUI Roadblock” Arrest? Roadblocks in Georgia, unlike traffic stops, do not need probable cause, or even a reasonable suspicion of criminal wrongdoing by the motorist in order to be admissible in court. This is an obvious advantage to law enforcement, as officers do not have to worry about a judge, defense attorney, or jury scrutinizing why the officer pulled someone over in the first place. Simply having a valid roadblock, blocking all lanes of traffic, or all possible routes of entrance or exit is enough, and officers are allowed to stop and question you, and counties like Hall, Gwinnett, Fulton, Bartow, Forsyth and Fulton make frequent use of these opportunities. While roadblock stops do not require any suspicion of wrong doing on your part, they do have to meet a heightened level of scrutiny in the courtroom because of our federal and state constitutional protections. Under Georgia law, roadblocks are analyzed through a five-part test in order to determine their constitutionality. Often times, prosecutors and law enforcement will have more trouble meeting this heightened standard, making it all the more important to have a skilled DUI defense attorney on your side if you were arrested at a roadblock in Georgia. When analyzing a roadblock case, there care certain checks I always look for to see if the state will be able to meet their burden. A motion to suppress that challenges the constitutionality of the roadblock is filed in 100% of my DUI roadblock or ‘safety check’ cases. At this suppression hearing, the prosecutor will be forced to present sufficient evidence that the roadblock meets your constitutional protections. When challenged, this can be more difficult for the state to do, requiring more witnesses and documentary evidence from the roadblock’s records. If your roadblock is found to be unconstitutional, the usual outcome is for all evidence of your DUI to be suppressed- a very good outcome for your defense. If you have been stopped at a roadblock and charged with DUI, possession, or any traffic or other infraction stemming from the roadblock, call or write me today. There is important documents that need to be gathered in defending a roadblock case, and time is of the essence. Do I have a right to demand that the prosecutor turn over all evidence against me? Can I Demand that the Prosecutor Turn Over All Evidence in Their Possession? As a criminal defendant in Georgia, you do have the right, in a DUI case, to demand that the state turn over the evidence against you. However, filing for discovery can be a very time consuming and tedious process for an untrained or inexperienced person. Georgia statutes (law) control most of the criminal and DUI discovery process in Georgia, and having a strong knowledge of the laws and application is key to effectively obtain all of your discovery evidence. As a defense attorney practicing exclusively in DUI defense and criminal defense, I know the discovery rules inside and out. Motions to the prosecutor demanding all of the evidence in your case are promptly sent, as well as an investigation and gathering any evidence that maybe available through the Georgia Open Records Act. While the Act does have an exception that exempts providing records where a prosecution is pending, having a knowledge of which agencies will and will not use the exemption allows me to usually obtain vital documents much quicker in your pending DUI case, as sometimes the discovery maybe months down the road. all me today if you have been charged with DUI in Georgia, or any other criminal offense. I will discuss the first steps in defending your case and gathering the state’s evidence at no charge to you. You can fill out a contact form on this page, or call me directly at 404.642.6333 to get started. How does having the state’s evidence help me? If you are facing Georgia DUI charges, your case will have many timelines that must be met in order to defend your freedom and privileges such as your driver’s license. With so much on the line, one of the first lines of business is to gather all of the evidence against you in order to effectively evaluate the strengths and weaknesses of your case and determine defense plan. Through the Georgia Open Record Act, and Georgia discovery laws, as well as local jurisdiction policies, it is crucial to gather all available evidence coming from your DUI arrest. Police reports, videos, audio recordings, and information relating to your chemical tests (usually your breath or blood test) are all items that must be collected in order to defend your charges. As a defense attorney practicing exclusively in DUI defense and criminal defense, I know how to get ahold of this evidence as quickly as possible. Motions to the prosecutor demanding all of the evidence in your case are promptly sent, as well as an investigation and gathering any evidence that maybe available through the Georgia Open Records Act. While the Act does have an exception that exempts providing records where a prosecution is pending, having a knowledge of which agencies will and will not use the exemption allows me to usually obtain vital documents much quicker in your pending DUI case, as sometimes the discovery maybe months down the road. Call me today if you have been charged with DUI in Georgia, or any other criminal offense. I will discuss the first steps in defending your case and gathering the state’s evidence at no charge to you. You can fill out a contact form on this page, or call me directly at 404.642.6333 to get started. Should I fight my DUI in a local court or have it bound over to the main county court? There are two main classifications of courts in Georgia where your DUI prosecution may originate, those that have the power to conduct jury trials and those that don’t. Under Georgia law, you are entitled to a jury trial in almost all criminal defense cases. Certainly in DUI cases, you are always entitled to a trial by jury, as you face state charges carrying a minimum jail period. Municipal Courts, Recorder’s Courts, City Courts, and Probate Courts are all examples of courts that may not conduct jury trials. County State and Superior Courts are allowed to conduct jury trials in Georgia. There can be advantages and drawbacks in defending your case, depending on the court your case has been assigned to. If you have been charged with DUI, and your case is in a non-trial court, such as Sandy Springs or Atlanta Municipal Court, call me today to discuss your options in defending your case. The local court procedures are involved, and having a day-to-day knowledge of what is happening in these smaller courts is essential to defending cases. You can call me directly or fill out my questionnaire and I will speak with you about deciding which court system makes the most sense for you. It is possible in Georgia for your attorney to negotiate a lesser, or reduced plea in your DUI case. There are no laws that prohibit prosecutors in your case from using their discretion and negotiating with defense attorneys to resolve your case. Usually, once the evidence in your DUI case has been obtained, negotiations with the prosecutor begin. Depending on the strengths and weaknesses of your case, prosecutors and defense attorneys typically go back and forth, with the state usually wanting the toughest plea bargain they can negotiate and your attorney asking for charges to be reduced and sometimes even dropped. While a full dismissal is very rare in DUI cases, where there is even some evidence of intoxication, reduced pleas are obtainable. The benefit to a possible reduced plea is two fold. (1) It is a guaranteed way to keep a DUI charge from staying on your criminal record forever, and (2) it saves you the cost, time burden, and stress associated with long court hearings and even trial. A Reckless Driving charge in Georgia is defined as “driving with a reckless disregard for the safety of persons or property”. The language and scope of Georgia’s reckless driving charge is very broad and open to interpretation, making it an ideal reduced charge in a DUI case. Reckless Driving in Georgia is a four point traffic offense, with the same effect as a 24 mph speeding ticket on your driving record. The benefit of a Reckless Driving plea is obvious- insurance, employers, schools and the like will only see a relatively minor traffic citation on your Georgia criminal and driving record. While a Reckless Driving outcome is ideal in your DUI case, it is far from a given or common occurrence. Remember, prosecutor’s jobs depend on conviction rates and being ‘tough on crime’. Your DUI attorney must be ready to investigate, advocate, and negotiate relentlessly on your behalf in an effort to obtain a reduced plea in your case. If you have been charged with DUI in the State of Georgia, and want to explore the likelihood that an attorney can help you negotiate your plea to something less than a DUI, call me and I will be happy to examine your case and speak with you about your case and a possible reduction in the charges. Georgia law allows evidence of your numeric blood or breath alcohol level to be admitted into evidence at your trial, if the State can successfully meet the necessary requirements to have the test come in. When challenging the admission of a breath test from Georgia’s Intoxilyzer 5000, your attorney will need to know what to look for and how to best argue for the exclusion of your test based on the facts of your case. The Intoxilyzer 5000, like all machines, is not infallible. However, the Georgia law controlling the Intoxilyzer 5000 is very liberal, and allows many tests into evidence that could otherwise be inaccurate, if not challenged by your attorney. Hire an attorney willing to explore all of these common issues with the breath test result in your case, if you plan on fighting your DUI. Remember, in Georgia there are really two types of alcohol-related DUI’s; the less safe DUI and the per se DUI. It does you no good to beat one of the two charges at trial, because you will still be just as guilty of a DUI if the other charge stands. In fighting a DUI with a breath test, your attorney will be forced to fight the Intoxilyzer 5000 result, while prosecutors, most judges, and most people in general would assume this breath test machine must always be right. Additionally, the Georgia Department of Driver Services will still suspend the driver’s license and require a Risk Reduction School (DUI school) to be completed, as well as the payment of a reinstatement fee. The slight advantage to a no contest plea in your DUI case is it is not an admission of guilt; you neither admit to nor deny the charges. It is best to consult with our office if you to discuss whether a ‘no contest’ plea could be a feasible alternative in your DUI case. However, for all intents and purposes, Georgia now treats no contest pleas as convictions under the law. Copyright 2016 Zeliff & Watson. All Rights Reserved.